You won’t find a place in sunny Orlando quite like Sheraton Vistana Resort Spas Villas. 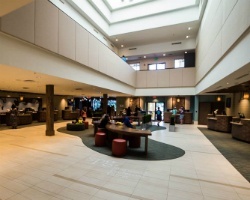 With top-quality amenities, convenient accommodations, and one great location, you can’t go wrong with calling this resort your home-away-from-home. Through SellMyTimeshareNow.com, you’ll be able to get a great discounted price on a Sheraton Vistana Spas Villas timeshare resale or rental. Once you set foot on the Sheraton Vistana Resort Spas Villas property, you’ll feel as though you’ve stepped into a whole new world. 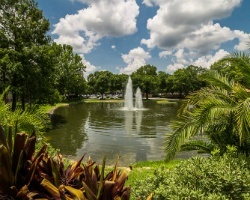 The breathtaking energy of the resort under the warm Orlando sun brings light to all the wonderful on-site amenities and attractions offered at this one-of-a-kind property. 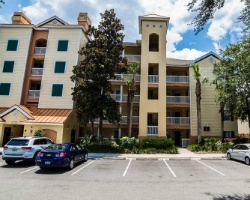 Its close proximity to the major theme parks Walt Disney World, Universal Studios, and SeaWorld is only one of the dozens of wonderful perks offered at the resort. The resort is also perfect for golf enthusiasts, as Orlando hosts a number of beautiful courses designed by PGA professionals. With all the excitement happening in the area, you need a comfortable, relaxing place to come back to. The well-appointed, two-bedroom condo-style units at Sheraton Vistana Spas Villas offer a great space for you and your family to unwind after a long day out and about. Enjoy quaint, homestyle amenities such as beautifully-crafted wooden dining room furniture, a spacious living room with a great view of the gardens or the pools, and a whirlpool tub in the master bedroom. Utilize the full kitchen and state-of-the-art appliances for cooking up meals for your family, then enjoy them on your furnished patio or balcony and eat as you soak in the gorgeous Florida weather all week long. You won’t find a better deal on Sheraton Vistana Spas Villas than when you purchase a timeshare resale on the secondary market. Save thousands of dollars off the retail price without compromising any of the one-of-a-kind amenities and great accommodations. Avoid all hidden fees; the price you pay is the fair market value of the ownership, without any additional costs typically added on by developers. Ownership of Sheraton Vistana Resort timeshare resales come in the form of deeded fixed or floating weeks. Floating weeks can be used in any available Sheraton ownership season including Silver, Gold, and Platinum. You also have the option of vacationing annually or biennially, allowing you flexible vacation options to ensure you can comfortably take the time off from the everyday grind. Sheraton is one of a few brands owned by Starwood Vacation Ownership. Starwood features an extensive catalog of top-shelf resorts that boast family-friendly accommodations at unbeatable prices. 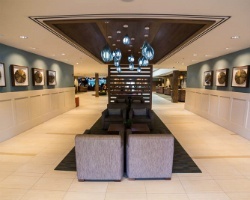 Starwood, also known as Vistana Signature Experiences, features breathtaking resorts located all over country and the world, from Colorado to the Caribbean. Sheraton Vistana Resort Spas Villas is one of many great resorts featured in the Starwood catalog. Our Starwood Information Center has all the facts you need to know when purchasing one of the brand’s affiliated properties. For an additional, yet affordable fee, Sheraton Vistana Resort Spas Villas timeshare owners can purchase membership to either of the two largest timeshare exchange companies in the industry. RCI and Interval International each feature thousands of resorts in countries all over the world. Deposit your timeshare week and access resorts for special one-time vacations. The resort’s RCI Gold Crown and Interval International Premier rating gives owners a unprecedented amount of trading power in the exchange program. At Sheraton Vistana Resort Spas Villas, you’re just a short walk away from some incredible resort features, perfect for killing time in between trips to the theme parks or if you’re looking to have some fun that’s a little more economically forgiving. The resort features seven pools, all of which have lounge chairs on the decks for guests to soak up some rays. Have a couple of drinks with your significant other or grab a snack with the kids at the poolside bar. Sheraton Vistana Resort offers private tennis lessons and clinics for players of all ages. Learn how to play the sport or challenge your friends and family to a match on any one of the 13 lighted tennis courts. Stay fit at the Sheraton Fitness Center, or explore the resort grounds by going on a morning jog along the jogging path. For those looking to test their sea legs and get an up-close view on Florida’s marine life, guests can sign up for scuba lessons with Scuba Steve! And we’re not even close to listing half of the great amenities found her at Sheraton Vistana Resort Spas Villas. Inquire about the other great accommodations and luxuries by contacting us today! Already Own at Sheraton Vistana Resort - Spas Villas?